Over a decade ago, a fresh-faced Alidad Moghaddam was touring the campuses of the world’s top-ranked business schools—Columbia, Harvard Business School (HBS), and Wharton—looking for the perfect place to pursue an MBA. At Harvard, he sat in on a marketing class delivered by Gail McGovern; once recognized by Fortune Magazine as one of the top-50 most powerful women in corporate America, now CEO of the American Red Cross. From that moment, he was sold. 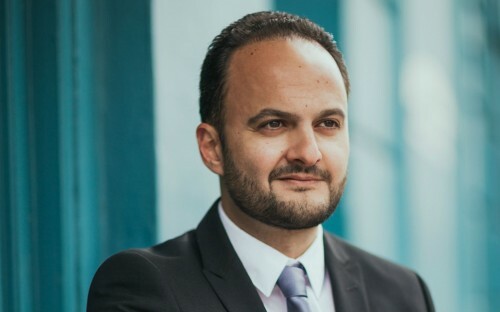 Today, Alidad is the European managing director of Trainline for Business, which provides rail travel solutions to over 20,000 business across Europe. Trainline is the world’s leading independent digital rail platform, selling over 150 tickets a minute to people living in more than 173 countries worldwide. In Europe, Trainline sells tickets on behalf of 87 rail and coach companies, covering around 80% of the rail market—if you’ve booked a train in Europe, you’ve probably done it through Trainline. Before and since completing his MBA at Harvard in 2008, Alidad has worked for big-name firms like American Express, Bain & Co., and Moneysupermarket.com in the UK. When BusinessBecause last spoke to Alidad, he was heading up marketing at fast-growing financial services brand, Media Ingenuity. Alidad’s MBA at Harvard plays a big role in his professional life, even today. Originally when I applied, the brand name was a big part of it. After the campus visit, I saw that Harvard had a great mix of career academics and academics with real business leadership experience. Having access to that caliber of leadership talent, and being able contextualize what we learned in the classroom, was amazing. The case study teaching method originated at Harvard—most business schools use case studies written at Harvard—and it’s a very engaging way to learn, have dialogue, and share different perspectives with your fellow classmates. Harvard, having been around since the early 1900’s, also has a big and broad alumni network, both in terms of geographic reach and careers. I was impressed by willingness of alumni to help each other out. My classmates. I had classmates in their mid-20s who’d already sold businesses; I had ex-military people; heart surgeons; classmates who’d worked for NGOs. A lot of my class ended up in the world of consulting and finance as a starting point, but a large number went into tech, e-commerce, and entrepreneurship. Some have sold businesses to Google. Many business leaders in Silicon Valley are alumni from HBS. I miss the sense of community; everybody works hard, plays hard, and travels together. In my second year, 10 or so of my classmates got together and organized a career trek to Japan. There was a constant exchange of ideas and perspectives. The first semester—the schedule was grueling! Everyone is trying to find their feet and figure out what the rhythm is; you want to do well; recruitment is in full swing within a couple of months; everyone is socializing as well—there was a lot of sleep deprivation! It’s very hard to pick! Gail McGovern was one. I didn’t have a formal marketing background, but the way she taught the class, and the cases she used, opened my eyes to how, through marketing, businesses can drive innovation and change consumer habits. It gave me a whole new perspective seeing how small businesses have scaled through creating disruptive marketing strategies. Bharat Anand’s corporate strategy class was also fascinating. He recently came to London and gave talk on how digital media is impacting the traditional media industry. That brought me back to the days of his classes at HBS. There were so many classes where I would just sit there and think, Wow! What advice do you have for anyone applying for an MBA at Harvard? Go to the campus if you have the opportunity. Tell admissions that you want to sit in on a class. See if there’s a student you can spend a few days with and shadow them—it’s an amazing way to get a first-hand feel of what it’s like to be an MBA student at the school. The application process is revamped regularly. I’m sure the questions I was asked are different today. But the core ethos is always the same. It’s about understanding why you want an MBA at Harvard and how you’re going to leverage the education that Harvard gives you. That motivation is likely to change and that’s ok. But having some sense of why you want an MBA, how it’s going to help you in your career, and how it’s going to help you contribute to the business world and the broader community as well, is important.